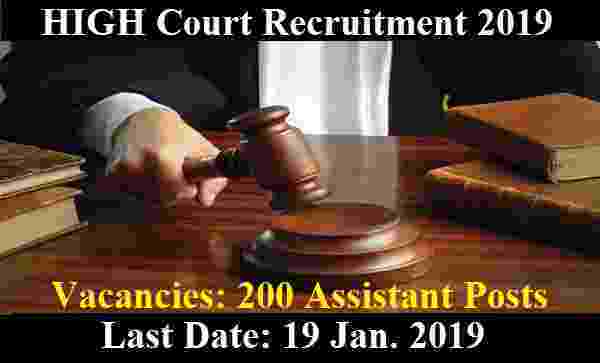 Calcutta High Court Recruitment department is looking to recruit fresher well educated candidates for Lower Division Assistant posts. High Court Recruitment department is inviting online Govt job applications in the prescribed format from qualified Indian peoples holding knowledge in the vernacular of the State for the preparation of a panel for filling up the vacancies of 200 posts of Lower Division Assistant on the Original Side and on the Appellate Side establishments of the High Court at Calcutta. The Government job appointments as Assistant in the High Court will initially be made on purely temporary basis but are likely to be made permanent after few years. So those who are looking for the High court jobs in Calcutta High Court can apply for this Recruitment process. More information related to this High Court recruitment process is given below in this article. We took this information from the following website: “ http://www.calcuttahighcourt.gov.in”. So all the rights of the information which we shared in this article goes to this website only. Inside this website under “ Latest Notice” we found a PDF file which contains the full information about these High Court jobs. Check IMPORTANT LINK section at the last for those official PDF links as well as for online application link. Pay Band: Pay level-2 (Rs.5,400 -25,200) +GP Rs.2600 per Month. Educational Requirement: Essential minimum qualification required for applying these High court jobs is 12th pass from a well-recognized education board or its Equivalent examination from a recognized Council/ Board and should have information in the vernacular of the State. Age be calculated on the basis of following dates: “1st January, 2018”. For UR/OBC category candidate shave to pay Rs.500 while the application fee is Rs. 250 for SC/ST category candidates. 19TH Jan. 2019 is the Last Date to apply.